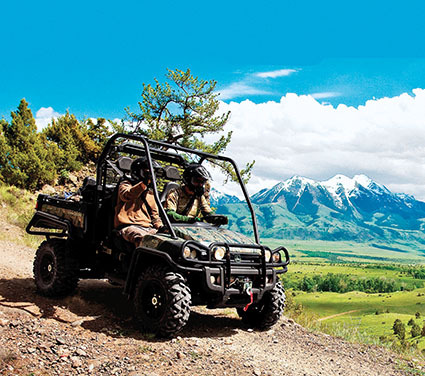 The market for versatile, compact all-terrain vehicles is growing. I am most likely going to die. 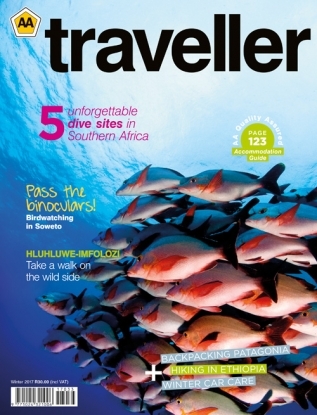 Ahead is a donga the size of Namibia, with banks anyone would struggle to climb, let alone drive up. My co-pilot, Barend du Toit, seems unfazed, though. Instead of slowing down, he tramps on the accelerator and heads over the lip. It doesn’t help that ours is a left-hand drive vehicle; I grab for the non-existent steering wheel. In seconds, the little ship has crested the cream wave and settled itself on a more-or-less even keel. ‘Fun hey?’ Barend’s grin is that of a five-year-old. Fun indeed, although, like an epic night out, mostly in hindsight. Du Toit’s Polaris RZR XP 1000 EPS is to all-terrain vehicles (ATVs) what the Bugatti Veyron is to road cars – the pinnacle and the dream, unaffordable to most people looking to get into the market. 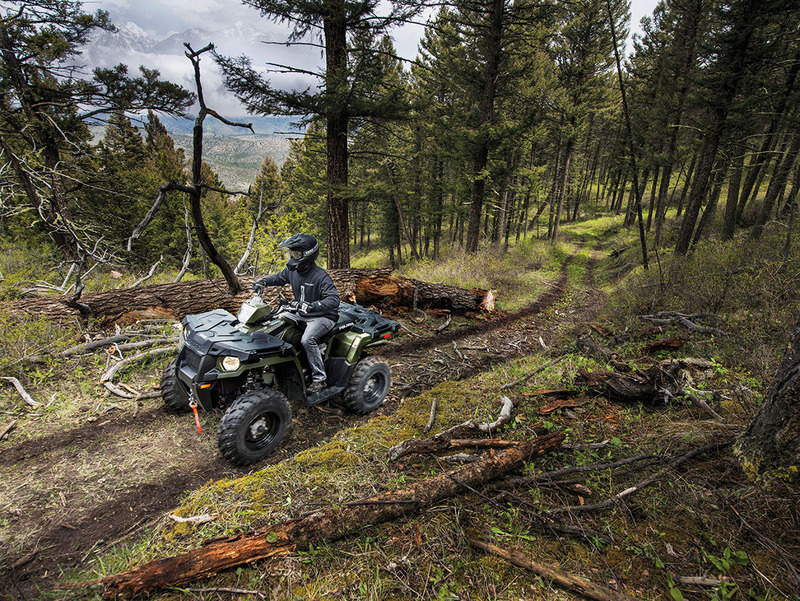 However, that market has splintered into a number of subcategories and ATVs are now more widely available, useful and fun than ever before, offering a rugged blend of utility and entertainment. These vehicles are still not road-legal in South Africa, but that hasn’t stopped a growing community of recreation-and-race fans from loading them on to the backs of bakkies and heading off at the weekend to try their luck in the mud and mountains. There are several different types of ATVs: recreational terrain vehicles (RTVs), utility terrain vehicles (UTVs) and, a recent addition, crossover utility vehicles (XUVs). The conventional quad bike remains the most common option, but growing in popularity are the XUV and side-by-side vehicles (those with seats arranged side by side, providing space for two or, sometimes, four passengers). These vehicles can be diesel, electric or petrol driven. With so many options available, the distinction between UTVs and RTVs is not always obvious. ‘There is a tax on leisure ATVs but not on utility, so many importers list their stock as utility, when, in fact, they are recreational vehicles,’ says Lachlan Harris, national director of the Association of Motorcycle Importers and Distributors. Indeed, some of the most useful ATVs, such as John Deere’s Gator series, which are used largely on farms, are also ideal for heading off to the dam for a spot of fishing. And it is exactly this go-anywhere aspect that has captured the imagination of the public. There is huge appeal in a vehicle that is more agile than a bakkie, more comfortable than a motorbike and not nearly as intrusive as an SUV. 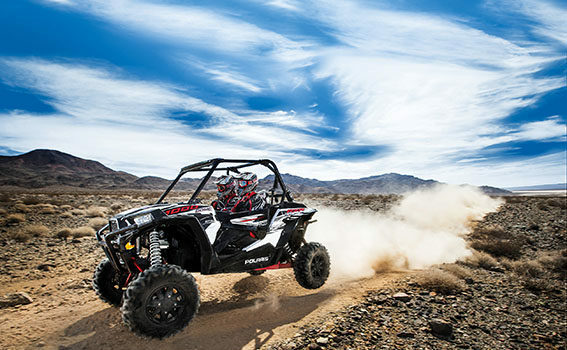 Still at the top of the ATV charts is the quad bike with a 300 – 500 cc engine and on-demand all-wheel drive. Among these, the Polaris Sportsman 450 S (with its 455 cc single-cylinder, four-stroke engine, automatic gearbox and AWD) is a bestseller. As with many of its contemporaries (including Linhai’s Dragonfly 400, Yamaha’s Grizzly 350, Honda’s TRX420FM, Kawasaki’s Brute Force KVF 300 and Suzuki’s KingQuad), the Polaris has cargo space behind and in front. Traditionally, quads have solid axles, which tend to cause stability issues at speed. To counter this, Honda’s TRX (another popular option) has a torque-sensitive front differential, one of many recent developments that are finding their way into quad design. Sitting somewhere between the sports side-by-side ATVs (such as the Polaris RZR XP 1000 EPS) and the traditional quads is a subcategory of vehicles that can take two, three or four people, and often look like miniature bakkies. These new UTVs have increasingly developed car-like characteristics and often feature windows, independent suspension and even air conditioning. Examples are the John Deere Gator 825i (which features a ‘cabin’ and a load bed), the Yamaha Viking 700 and the Polaris Ranger 570. The Gator boasts a 37 kW, 812 cc three-cylinder engine and the Yamaha and Polaris both single-cylinder engines of 686 cc and 567 cc respectively. This new breed of XUV offers consumers a range of seating configurations, from the conventional side-by-side arrangement, to three- or four-seater set-ups. They are characteristically easy to accessorise with tipping load beds and winches. Back in the dunes outside Atlantis in Cape Town, Du Toit is now racing another sports Polaris side-by-side. As the two cars disappear over a dune in a curtain of sand, it becomes clear to me why ATVs are so popular. They represent a simpler form of motoring, back when everything was immediate and technology far less intrusive. They’re reminiscent of the youngster’s very first pedal car, the cherished go-kart – the vehicle as pure, uninhibited fun.